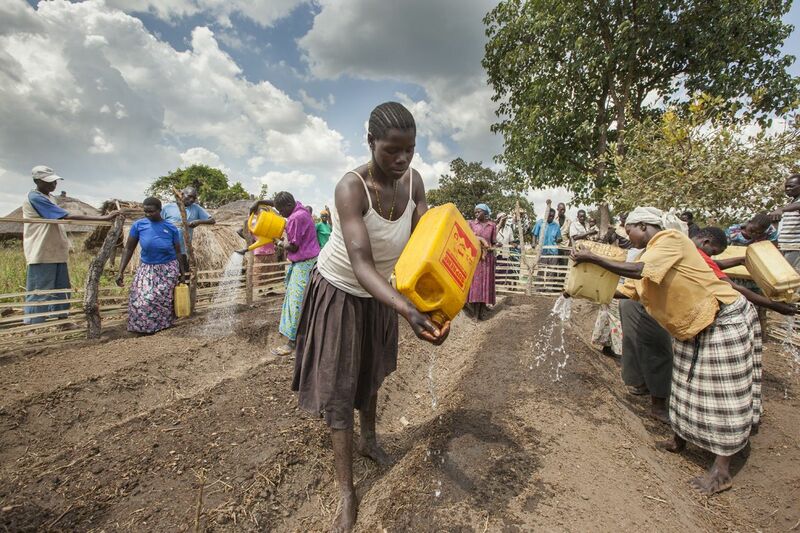 Twenty years of war destroyed the agricultural capacity of Northern Uganda. Knowledge was lost, crops and animals were stolen and land abandoned. 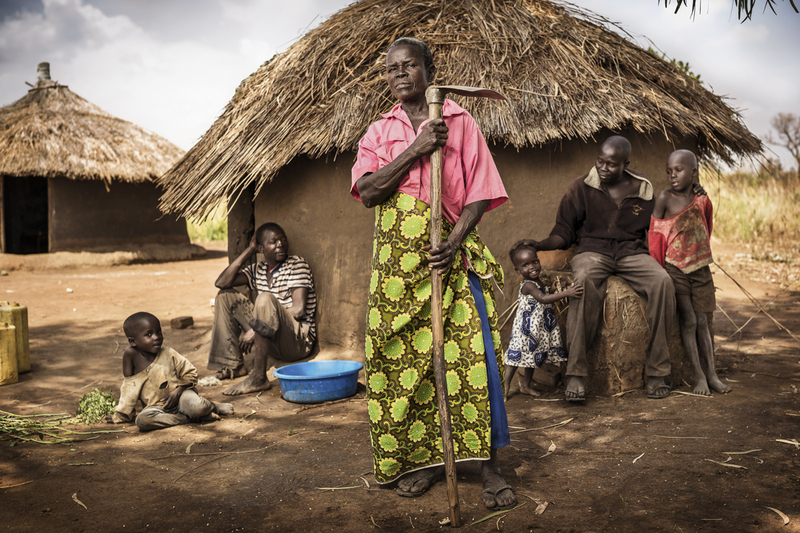 As the primary producers of food, women bore the brunt of the conflict. 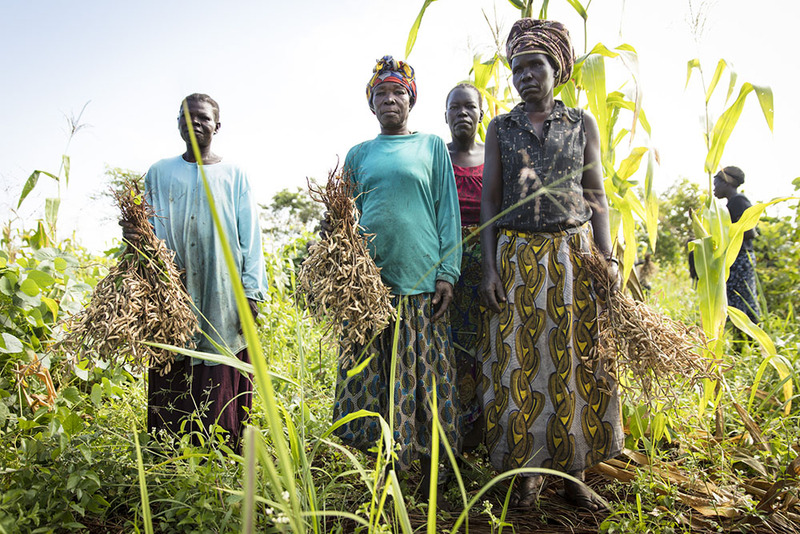 In today’s post-conflict environment, most of African Women Rising women rely on agriculture as their main source of income and livelihood. Due to the war and living in IDP camps an entire generation lost their agricultural skills. More than teaching techniques, AWR’s Resilience Design Field Crop and Permagarden programs are about sharing the principles behind water and soil management and developing a contextual understanding to design a system to be as productive and regenerative as possible. AWR’s programs have 24 different agroecology-focused indicators they track. The unfolding South Sudanese refugee situation has challenged us to implement this same approach in an emergency humanitarian setting. Both the Field Crop and the Permagarden Programs are built around participatory approaches designed to maximize exposure to practical lessons. The programs last for one year and follow the seasonal cropping cycle so that farmers can immediately implement what they learn. 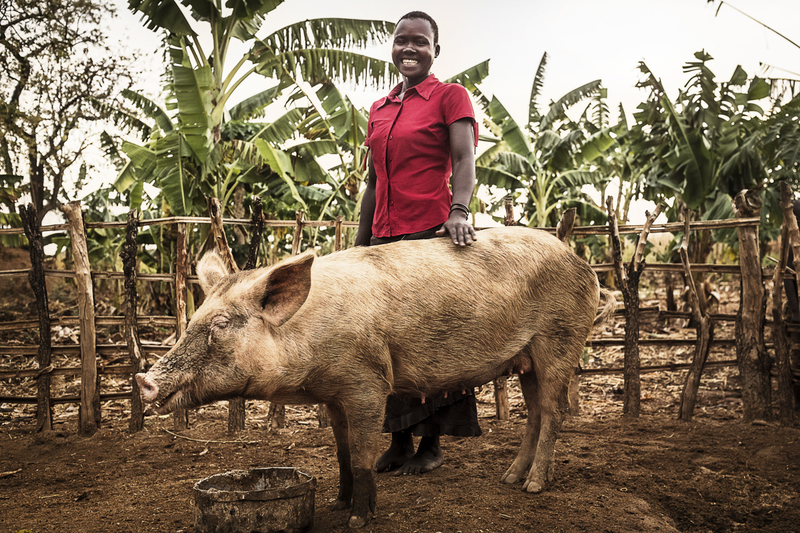 Our project outcomes and long-term impact have broad ramifications and include increased soil fertility, increased crop yields, better diet and nutritional intake, increased income for participants and increased access to healthcare and schooling. A critical goal of the program is the ecological stability and regeneration of the natural environment. Based upon discussions with women we have seen that even in a good year many farmers experience seasonal household hunger. To help achieve food and nutritional security- and to help increase income- AWR’s agricultural training focuses on field crops and permagardens. 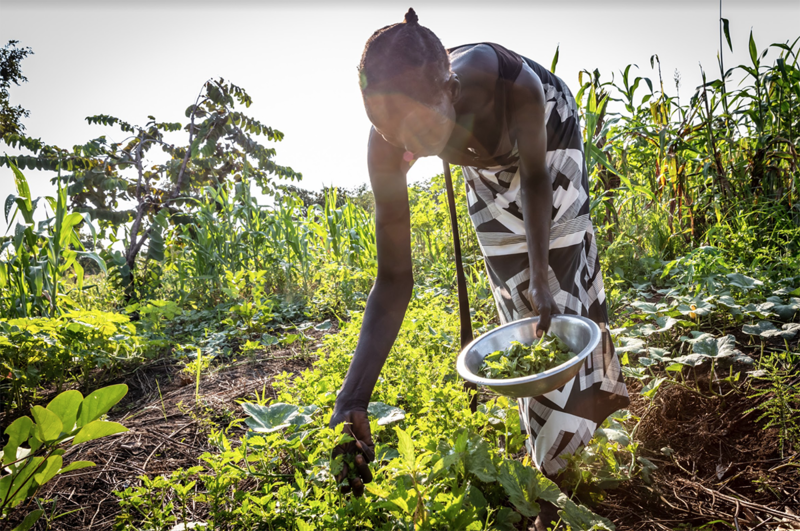 The Field Crop Program is designed to sustainably increase food production by building women’s agroecological skills and understanding of key soil and water principles. 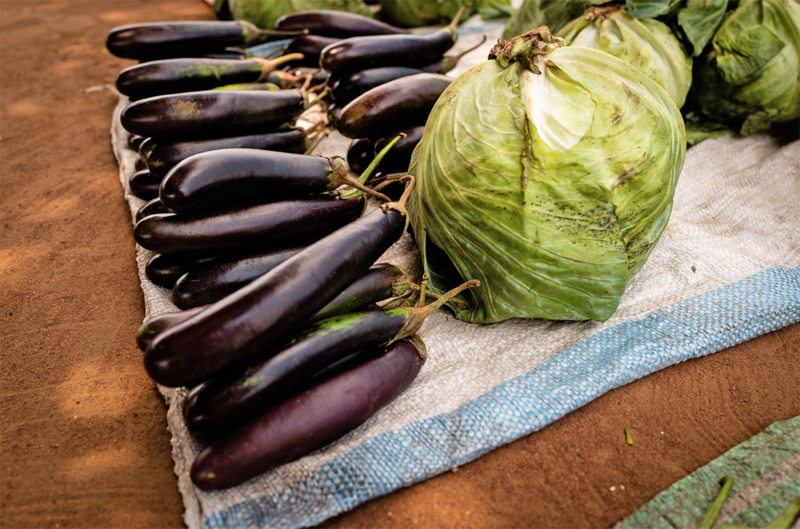 Translated into a range of regenerative soil development and rainwater harvesting and conservation measures, AWR’s farmers have seen both an increase in crop yields and a greater variety of foods coming out of their fields. In the long-term, strengthening these production systems also reduces vulnerability by shoring up resilience in the face of climate instability and extreme weather events. Field crops, for example the staples of maize, sorghum or cassava, provide the majority of their food and any excess is sold to pay for school fees, health care or other household costs. Any stress, such as drought or floods, can cause farmers to lose large parts of their harvest, as can lack of knowledge of basic agronomic practices. Healthy soils are crucial for these productive agricultural systems; water (hydrological) and nutrient cycles that support individual- and community- level health; ecological stability; food security; and economic viability. A living soil is the basis of a sustainable agroecosystem, necessary for building the resilience of smallholder farmers to environmental shocks and stresses. In practice, AWR agricultural trainings lead participants through a series of techniques to create productive soils with a rich balance of microorganisms, organic matter, and other necessary elements to support optimal plant growth over time. 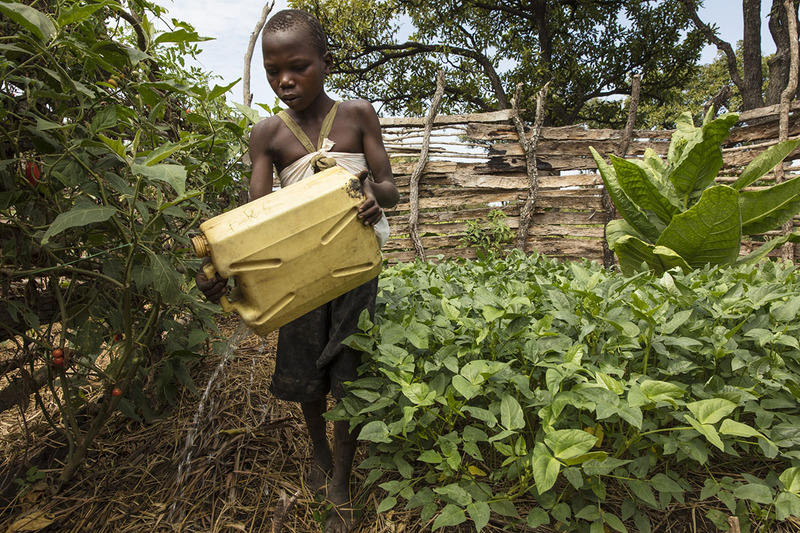 Water is also a vital part of a healthy farming system and is often the largest need in a smallholder farming system. AWR’s approach maximizes the amount of water in to a farming system when needed, primarily by increasing the amount of rain that infiltrates and stays in the soil and ensuring water ecosystem services are maintained. 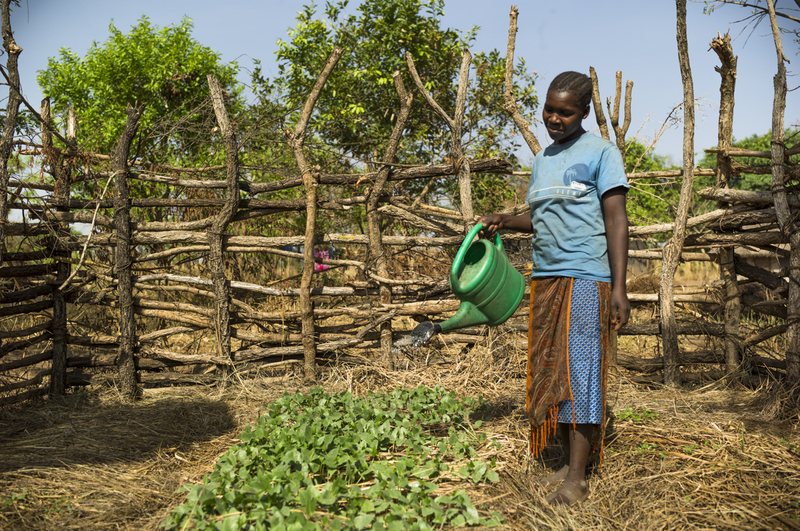 A core element of the training is to help extension workers support farmers- whether refugees living on small plots or community members with larger field crop gardens- to optimize water management. Water is crucial for productive farming systems and the lack of it (or sometimes, too much of it) is often the largest barrier to the overall productivity of farming systems. The approaches teach how farmers can use water-harvesting techniques to increase the amount of water in the soil during times of adequate rainfall as well as through dry seasons or gaps within the growing season. It also describes techniques that farmers can use to decrease the damage caused by erosion or downstream flooding. The overall goal of the Permagarden Program is to increase access to diverse and nutritious sources and adequate quantities of vegetables and fruit throughout the year. Farmers do this through the design and establishment of small permagardens around their home. This approach was developed in response to AWR members experiencing high rates of household hunger during the lean times of the region’s hunger season. The permagarden method combines components of permaculture- an agricultural approach using design principles to utilize natural systems for production- and bio-intensive agriculture- an agricultural approach that maximizes crop production through sustainable practices that increase biodiversity- to create a highly productive garden and homestead compound. It is designed to work in both the rainy and dry seasons and is a whole compound approach that improves soil fertility and water management to produce nutritious crops. The method shows how farmers with only a small amount of land can produce food throughout the year by learning principles behind proper gardening and resource management and matching those principles to basic practices. The approach helps meet the short-term food needs of program farmers even as it builds their long-term resilience. Farmers learn to manage natural resources through the intentional design of their compound, harvesting water and capturing waste streams to enhance the fertility and productivity of their plots. The management of existing trees and planting of other fruit and multipurpose trees, living fence and other biomass plantings provide materials for building, pest remedies, dry season nutrition and medicine. This helps reduce pressures on the environment – such as the collection of fuelwood, gathering of wild foods, burning of charcoal – that will continue to worsen as time goes on. Farmers learn how to use a simple A-frame structure to measure contours of the land. This keep water from running off the land and into areas of cultivation. Permagardens can produce vegetables within a few weeks of planting. The gardens have proven especially useful to women who don’t have access to land or the strength to maintain a field garden. Permagardens are located in the compound, next to where people live. This makes it easy to care for them, and to use waste water for irrigation. Brenda participates in the Field crop program. Using local resources and simple methods for improving soil fertility and water conservation she has been able to double her yield. The income helps her pay for school fees for her 3 children. Post harvest handling is an important topic in the Field Crop program. These maize cribs are built almost exclusively with locally available materials and help farmers store their crops more effectively to reduce loss to pest. Handful of peanuts. The most commonly grown crops are peanuts, corn, cassava, millet, sorghum, sesame, beans and rice. Uganda’s charcoal trade is causing rapid destruction of the country’s forests. Each year, about 200,000 acres are cleared for the production of charcoal or timber, according to the National Forest Authority.